Predators On land snakes, owls and hawks are potential predators as well as introduced rats and cats. In sea they may be preyed on by sharks. 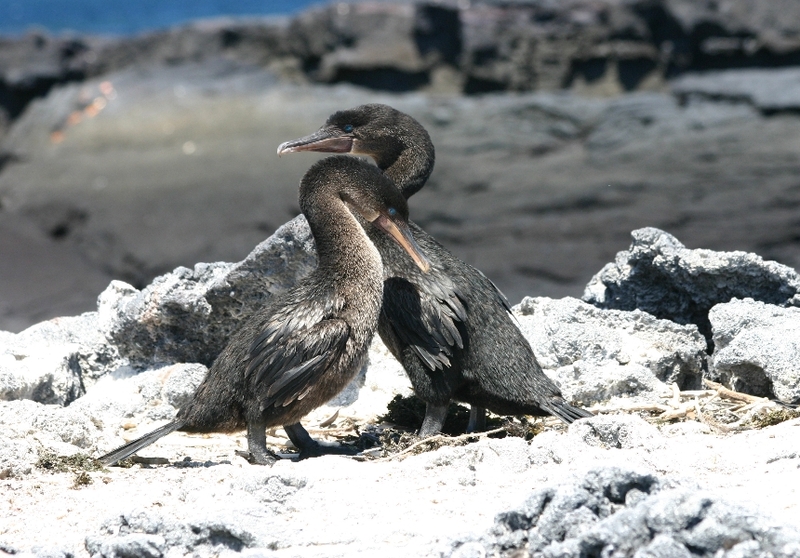 This is the only flightless species of cormorant in the world and it has evolved only in Galapagos as a result of very few land predators. 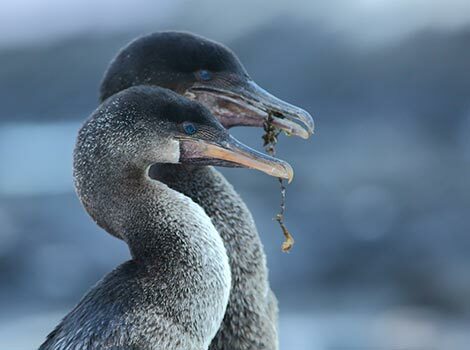 Flightless cormorants are found on the shores of Fernandina and Isabela islands, where they hunt close to shore. They are expert divers, often seizing their prey from the sea bed. They are often seen holding their shriveled wings out in order to dry their feathers and warm up after hunting.